Summary and Definition: The Serrano tribe were a southern California inland tribe of Native American Indians who were hunter-gatherers and traders. The original territory of the Serrano tribe 2,400 square miles from the San Bernadino Mountains south to the Mojave River region and down to the Tejon Creek. The Serrano people lived in well organized villages of kiich houses, until the arrival of the Spanish who forcibly removed them to missions. What was the lifestyle and culture of the Serrano tribe? 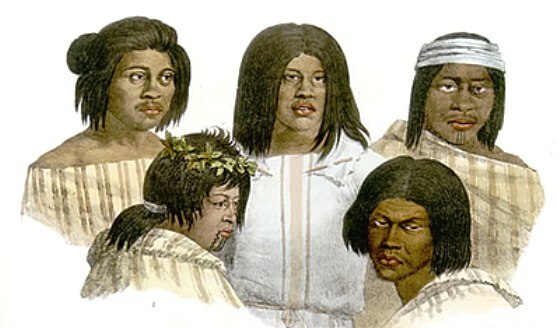 In 1775 Fray Fancisco Garces made first European contact with the tribe. Fray Francisco Garces described the people as living near Tejon Creek, under their Mohave name of Cuahajai or Cuabajay (aka Cahuilla), as "approachable, quiet, inoffensive, and having good hearts". The Serrano called themselves Yuhaviatam, which means "people of the pines". The people were divided into three groups, or bands. The Spanish established the Mission System in Southern California to convert Native Indian tribes to Christianity and enslave them and the tribe were brought under the San Gabriel and San Fernando Missions and referred to as the 'Serrano'. The name 'Serrano' is Spanish for "highlander,” or "mountaineer” that reflected the geography of their homelands. The Mexicans took control of Alta and Baja California forcing the Native people to work on their farms. The Americans followed, moving west along the California Trail and were joined by the Gold Rush settlers. The Serrano people were decimated by the diseases brought by the invaders and subjected to atrocities. Following the short-lived Garra Revolt (1851) those who survived were forced on to various reservations. What language did the Serrano tribe speak? The Serrano language is of the Serran branch of Uto-Aztecan family spoken in Southern California. The Serrano language is now nearly extinct. Where did the Serrano tribe live? The Serrano are people of the California Native American cultural group. The location of their tribal homelands covered the mountainous region of what is now southern California. The geography of the region in which they lived dictated the lifestyle and culture of the Serrano tribe. What did the Serrano tribe live in? 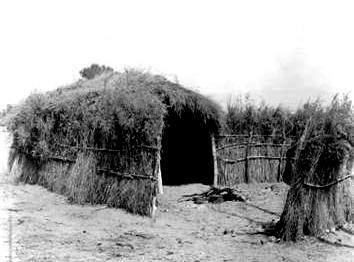 The Serrano tribe lived in a type of shelter called a Kiich. A Kiich was made using willow poles and long sticks to create a frames that were covered in brush and and yucca fiber. A typical rectangular kiich measured about 12 - 14 feet in width and length and was often dug about 2 feet into the ground. The insulation from the ground helped to combat extreme temperatures that were hot during the day but cold at night. The floors of the kiich houses were covered with woven mats made of yucca. There was a smoke hole in the roof for the night time fires which also let in air and light during the day. Cooking was done outside the kiich. The people also built ramadas, thatched roofs supported by poles, that provided shade. Small Serrano villages of kiich houses were constructed near lakes, rivers and streams located in the valleys, and mountains of the San Bernardino highlands. What food did the Serrano tribe eat? The food that the Serrano tribe ate varied according to the natural resources of their location. Their food included staple diet of acorns which they ground into acorn meal called Wiic to make soup and bread. Nuts were a valuable food source and were stored in granaries built of willow poles and covered with tule reeds. The Serrano hunted deer (venison), elk, fowl, mountain sheep and goats, and small game such as rabbits and quail. The Serrano hunter-gathers collected other foods including a variety of nuts, mushrooms, greens, roots, bulbs, and berries. Food was also preserved by drying in the sun and stored to be eaten in the winter. What weapons did the Serrano use? The weapons used by the Serrano tribe included spears, knives, bows and arrows, slings and clubs. What clothes did the Serrano men wear? The clothes worn by the Serrano men varied according to the seasons and the weather. During the summer months the men wore an apron or kilt made from tule reeds, mesquite bark or the yucca or they simply went naked. In the winter months warm clothing was required that made from the hides of animals such as deer (buckskin), squirrel and rabbit. The Serrano winter garments included fur robes and blankets. They wore tough sandals made of buckskin and plant fibers and went barefoot in the warmer weather. The ceremonial crown-style headdresses of the Serrano consisted of a circular head roll that was made of bound tule and covered with fur and topped by feather plumes. What clothes did the Serrano women wear? The women of the Serrano tribe wore aprons or skirts that covered the front and back made of shredded willow bark. Special clothes were strung with ornaments, tassels, shells and quills. Twined tule sandals covered their feet and in the winter they wore rabbit fur robes for warmth. Serrano History Timeline: What happened to the Serrano tribe? The following Serrano history timeline details facts, dates and famous landmarks of the people. The Serrano timeline explains what happened to the people of their tribe. 1790's: The Spanish began raiding Serrano villages for converts forcing them to work as slaves in Spanish missions. 1891: The United States established a reservation for the Serrano which took the name San Manuel in honor of Chief Santos Manuel.